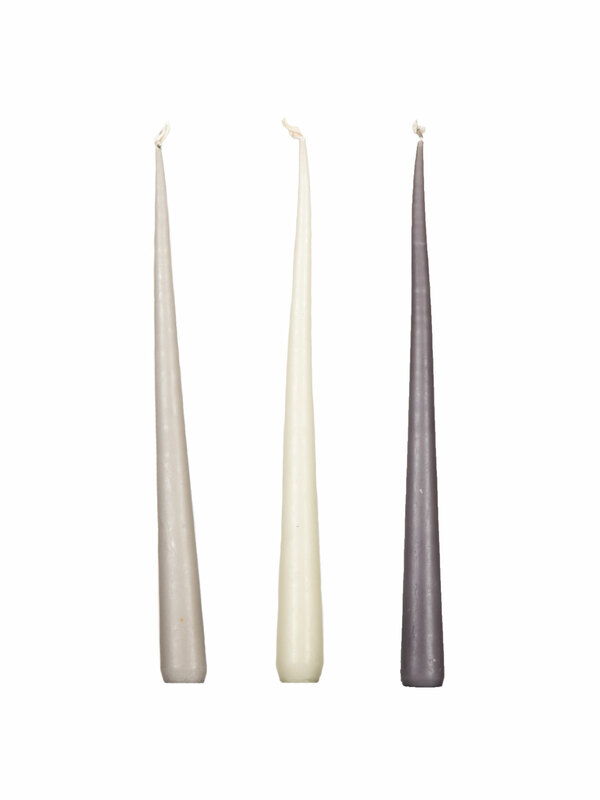 An elegant set of white and soft grey tapered candles. 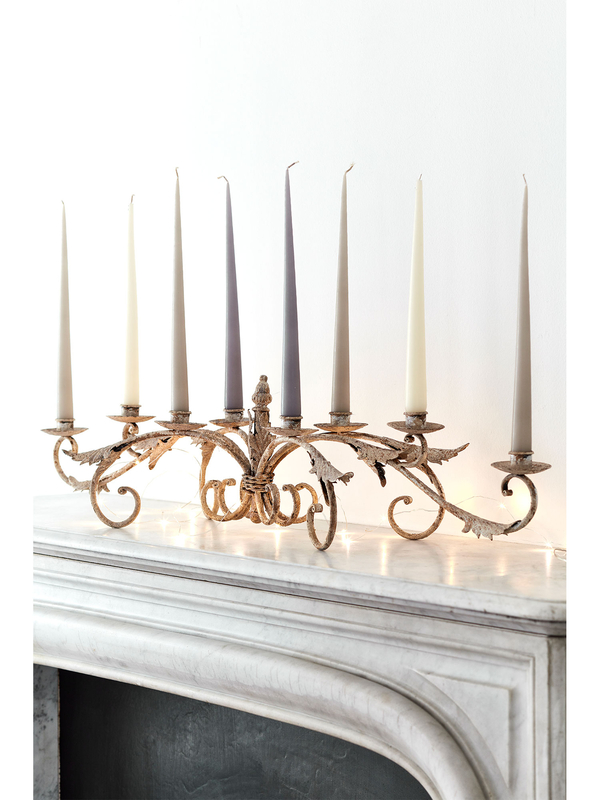 These gorgeous candles burn with a beautiful steady flame, are non-drip and presented in tissue paper. 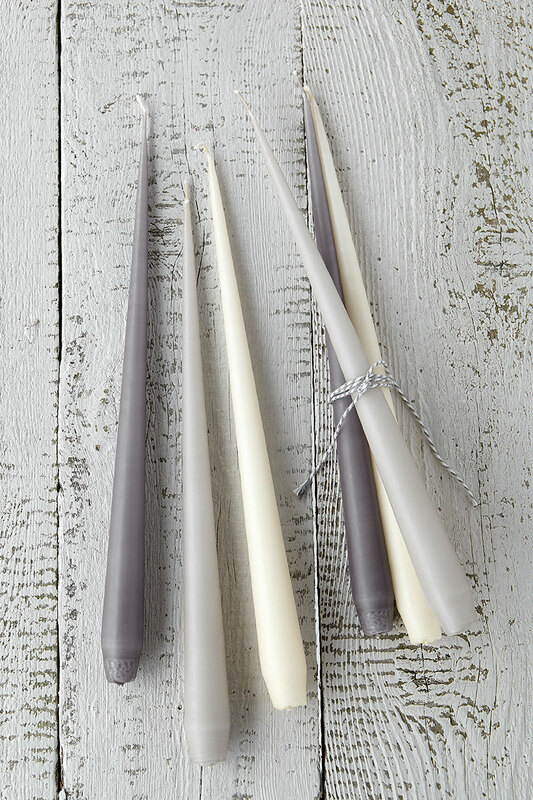 Crafted by hand following traditional Danish candle making methods, these neutral tones will look beautifully chic in any room to your home. Care: Pinch rather than blow out to extinguish. To avoid dripping, do not expose to draughts, air conditioning or place near a heat source. This product comes wrapped in tissue paper in a white box directly from the artisan. Please Note: These candles are handmade using traditional methods and have a burn time of approximately 8 hours.